Truck Photos - Volvo FH. 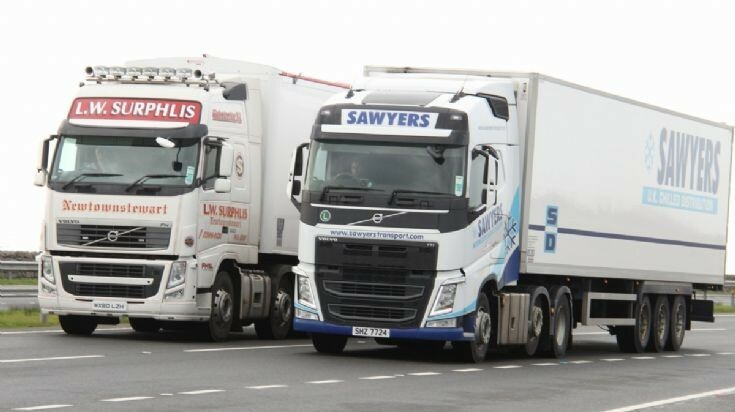 L.W Surphlis passing a Sawyers Volvo a few miles out side Holyhead, some pictures you can't plan for. 1.2.16, Anglesey, North Wales, UK. Added by Susan Asbury Silver Knight Ltd on 11 April 2016. I have seen other trucks and I have come to see that volvo is outstanding... keep up the strong quality trucks (volvos). Added by Abelson on 10 March 2018.